Molybdenum minerals are used in the process of hardening steel alloys. During the first World War, production of molybdenum increased signifigantly and the climax mine was jump-started into production. The first shipments of the product began in 1915. Demand for molybdenum halted after the war but began again in 1924 until the 1980's due to higher demand for the mineral. 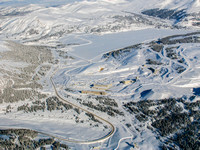 The market changed and the mine was innactive for over 17 years until in 2007 the Freeport-McMoRan company announced it's plan to re-open to mine. 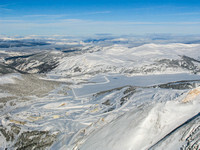 Over $300 million dollars were required to restart this open-pit operation. 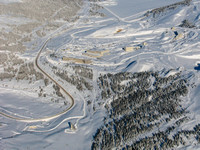 Experts indicate that this location is home to the "…largest, highest-grade and lowest-cost molybdenum ore in the world." 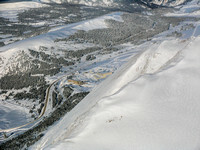 The practice of mining for molybdenum produces vast quantities of "froth flotation," which are stored in dams that cover many square miles near the site. 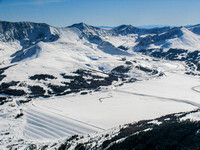 Drivers can see the new activity of this mine as they commute from Leadville over Fremont pass towards I-70. 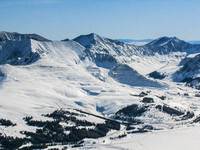 Molybdenum dust and particulates are harmful to human health through respiration and ingestion. Although the mine is regulated by the EPA and many other local and federal environmental agencies, many people are concerned about the location of the mine, at the headwaters of our Colorado and Arkansas rivers.